30 Social Media Marketing Statistics You Need to Know for 2019. The top stats SMMs are watching this year. In this day and age, we all know that advertising and social media must go hand in hand if your brand wants to see any type of success—and if you want to run digital ads, you need to keep up with the latest social media marketing statistics. 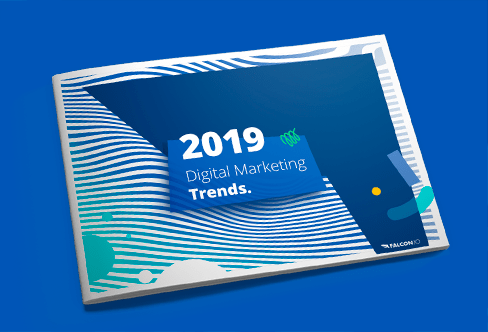 No longer are the days where you could get away with posting a couple of banner ads and hope for the best—brands need to connect with their audiences in a way that’s only possible through social media marketing. With that said, social media is an ever-changing entity and marketers need to be constantly updated if they want to achieve the results they’re looking for. To help all you social media marketers out there keep up with the latest trends, we’ve compiled a list of the 29 most important statistics on the top social networks (Facebook, Instagram, LinkedIn and Twitter) so that you know how to approach the rest of 2019 with a winning strategy. Also, check out this awesome infographic on the Benefits of Social Media for Business. Or, see the Best Times to Post on Social Media in 2019. Despite facing criticism last year over the handling of the private information of its users, Facebook still ended 2018 with ever-increasing ad revenue and a huge user base. That just goes to show that Facebook is still the leader in social media and brands shouldn’t make the mistake of glossing over it when building their marketing strategies. 1. Although Facebook has grown in terms of advertising revenue, it’s important to note that the portion of Americans aged 12 years and older using Facebook has declined from 67% to 62%. 2. With that said, about 68% of American adults report that they are Facebook users and about three-quarters of those users access Facebook on a daily basis. 3. The average number of daily active users for December 2018 was 1.52 billion, which is a 9% increase since the year before. 4. 93% of all Facebook ad revenue was brought in solely through mobile in Q4 of 2018. 5. Facebook brought in $16.91 billion in the fourth quarter of 2018, compared to $12.97 billion in 2017. 6. 93% of marketers use Facebook advertising regularly, which translates to about 3 million businesses that use Facebook for marketing. 7. On average, the best time to post on Facebook is 12-4pm, when you are more likely to get a lot of clicks and comments on your content and the best days to post are on Thursdays and Fridays. User engagement is at an overall high on Fridays, especially for brands, and Thursdays come in at a close second. 8. 88% of all Facebook users access the platform from their mobile devices. The social networking platform designed specifically for sharing photos and videos has experienced major growth in popularity over the last few years. These days it should be a staple in every marketer’s social media plan, especially if they are targeting younger age groups. 1. 200 million Instagram users visit at least one business profile each day. 2. There are over 25 million business profiles on Instagram. 3. Over 80% of accounts on Instagram follow a business. 4. The best day to post on Instagram is Wednesday and the best times to post are 11am-1pm, 5pm and 2am based on peak usage times and how much competition you’ll face from other brands. 5. 18-24 is the largest age group on Instagram. 15% of global active users are women between the ages of 18-24 and 17% are men between the ages of 18-24. 6. 60% of internet users with an annual income of $100,000 or more use Instagram. 7. The number of influencer marketing posts on Instagram doubled to over 1.5 million in 2017 and continues to grow. 8. Posts by influencers generate significantly more engagement than posts by brands. 9. The two industries that partner with Instagram influencers the most are fashion and accessories. LinkedIn is the largest network of professionals and provides ample opportunities for brands looking to focus their marketing efforts on a more business-oriented customer base. Despite its demographics being different than most other social networks, it continues to grow and should be taken seriously by social media marketers. 1. Around 50% of Americans with a college degree use LinkedIn, compared to only 9% of those with a high school diploma or less. 2. The number of users on LinkedIn is just above half a billion. 3. LinkedIn’s largest age group is 25- to 29-year-olds. The next-most-popular age group is 30- to 49-year-olds. 4. LinkedIn is the only social network where men and women are equally represented. 5. The countries with the most LinkedIn users: United States, India, China, and Brazil. 6. The best times to post on LinkedIn are Tuesdays, Wednesdays, and Thursdays at 8am, 12pm, and 5-6pm. Traffic on LinkedIn peaks at lunchtime during the workweek and slows down after work and on the weekends. The social networking giant and news aggregation site that allows users to tell the world how they feel in 280 characters or less is still going strong. With that in mind, brands should be doing what they can to capitalize on the network. Despite being around for some time now, Twitter is still widely popular and all types of companies have profiles on the network to inform users about their products or services. 1. Twitter currently has about 321 million monthly active users. 2. Twitter brought in $909 million in advertising revenue in the fourth quarter of 2018, a 24% increase compared to 2017. 3. Total engagements with ads on Twitter increased by 33% between Q4 2017 and Q4 2018. 4. Cost per engagement on Twitter ads has decreased by 7% since 2017. 5. Video accounts for more than half of Twitter’s ad revenue and was the fastest growing ad format in 2018. 6. B2B tweets perform 16% better during business hours while B2C tweets perform 17% better during the weekends. 7. The best time to tweet to maximize exposure on Twitter is at noon or 5-6pm and the best days to tweet are Mondays, Tuesdays, Wednesdays and Thursdays. This is especially true if you are in the B2B realm. Social media has been with us for some time now and is showing clear evidence that it’s not planning on stopping anytime soon. Remember to sit down with your marketing team quarterly to study current trends and statistics relevant to your strategy. Make the mistake of assuming that social media stays the same and your brand will, unfortunately, get left behind.